Nga Puhi Northland Maori (Red) Golf Shirt Tee off in casual style. Our golf-style, collared t-shirt is a comfortable, lightweight way to play 18-holes and beat the heat. Features, stylish wood-tone buttons, yet it feels like wearing your favorite t-shirt. Nga Puhi Northland Maori (Blue) Golf Shirt Tee off in casual style. Our golf-style, collared t-shirt is a comfortable, lightweight way to play 18-holes and beat the heat. Features, stylish wood-tone buttons, yet it feels like wearing your favorite t-shirt. 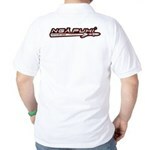 Nga Puhi Golf Shirt Tee off in casual style. Our golf-style, collared t-shirt is a comfortable, lightweight way to play 18-holes and beat the heat. Features, stylish wood-tone buttons, yet it feels like wearing your favorite t-shirt. Nga Puhi Northland Maori (Brown) Golf Shirt Tee off in casual style. Our golf-style, collared t-shirt is a comfortable, lightweight way to play 18-holes and beat the heat. Features, stylish wood-tone buttons, yet it feels like wearing your favorite t-shirt. 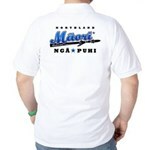 Nga Puhi Moko Golf Shirt Tee off in casual style. Our golf-style, collared t-shirt is a comfortable, lightweight way to play 18-holes and beat the heat. Features, stylish wood-tone buttons, yet it feels like wearing your favorite t-shirt. Ngapuhi Golf Shirt The kowhaiwhai pattern is the Mangopare, or hammerhead shark, which frequents the waters around the north. The mangopare represents strength and agility. Ngapuhi Te Iwi Golf Shirt The kowhaiwhai pattern is the Mangopare, or hammerhead shark, which frequents the waters around the north. The mangopare represents strength and agility. 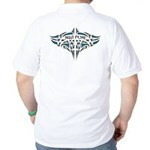 Ngapuhi Tuturu Golf Shirt The kowhaiwhai pattern is the Mangopare, or hammerhead shark, which frequents the waters around the north. The mangopare represents strength and agility. Ngapuhi Nui Tonu Golf Shirt The kowhaiwhai pattern is the Mangopare, or hammerhead shark, which frequents the waters around the north. The mangopare represents strength and agility.